A well-known Blackpool man has been banned from the town centre after his persistent harassing of its people and businesses. 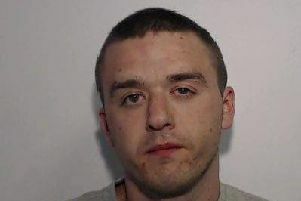 David Russell McGreevy has been handed a Criminal Behaviour Order by Blackpool Neighbourhood Policing Team (NPT) prohibits him from entering Blackpool town centre. It also bans him from begging anywhere in Blackpool. A spokesman from Blackpool Police said: "In recent months, it has come to the attention of Blackpool Neighbourhood Policing Team that David Russell McGreevy has been causing distress to many people and businesses in Blackpool town centre for his persistent and aggressive harassment of members of the public, alongside repeated disorderly behaviour. "As a result, Blackpool NPT has worked alongside our colleagues at Blackpool Council to serve Mr McGreevy with a Criminal Behaviour Order. "This Order prohibits Mr McGreevy from entering Blackpool Town Centre, and bans him from begging anywhere in Blackpool." Residents, visitors and businesses are advised to contact police on 101 if they come across McGreevy breaching this Order. The police spokesman added: "Breaching a Criminal Behaviour Order is a criminal offence, and can result in arrest and prosecution. "Thank you for helping us to make Blackpool a safer place for everyone."